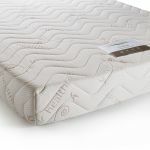 This high-spec single mattress boasts the latest sleep technology innovations from Leggett and Platt, including 2000 15 cm pocket springs at king size. If you're looking for a truly comfortable night's sleep, you won't have to look any further than this. Packed full of 2000 pocket springs at king-size, each wrapped in a fabric to minimise noise, the mattress offers excellent support that moulds to your individual shape. The pocket springs are then encased in high resilience foam to create a cosy sleeping surface. 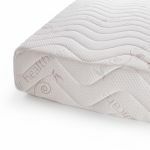 The foam casing not only helps to extend the life of the mattress, it also creates a larger usable sleeping surface, thanks to the edge to edge support. 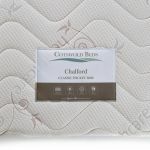 Our Chalford 2000 mattress has a special high quality micro-quilted knit stretch cover for a truly snuggly feel. With this mattress, you'll be off to the Land of Nod in no time at all!